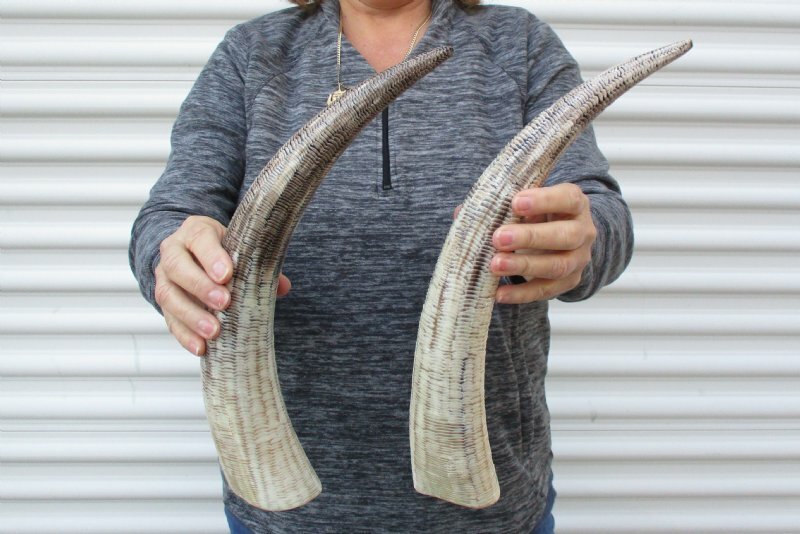 2 pc lot of Carved Polished buffalo horns with cut "snake skin" design, Bubalus bubalis, measuring approximately 16 and 16-1/2 inches, measured around the curve of the horn using a cloth tape measure - NOT straight with a wood ruler. Carved Polished buffalo horns vary in coloring, size and shape and are used for making animal horn jewelry, in cabin decor, rustic decorating, in making knife and cane handles, for carving, in the art of scrimshaw and in making inlaid instruments. 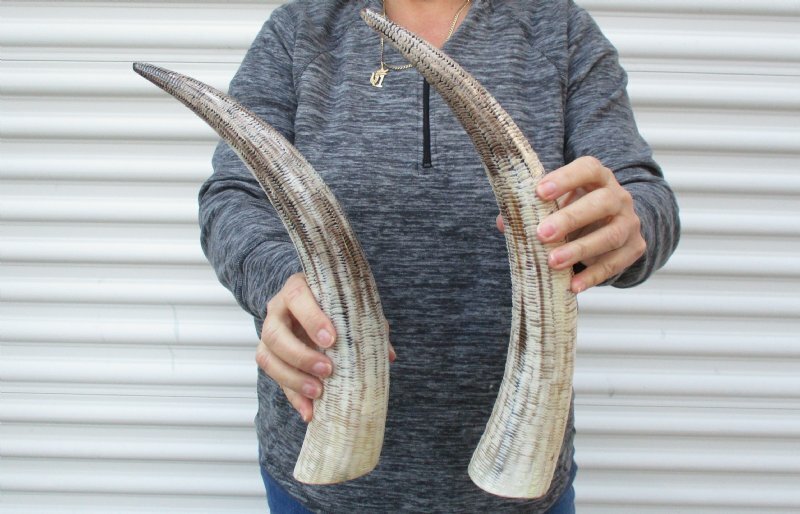 You are buying the 2 buffalo horns shown in the photo. 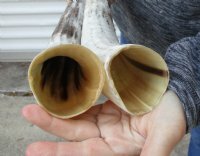 Some of these horns have a tiny patch at the tip of the horn where a tiny hole was drilled to release the pressure and allow removal of the inner bone.